Download Edimax EW-7722UTn V2 300Mbps Wifi Adapter Driver For Windows 8, Windows 7, Windows 8.1, Windows 10, Mac And Linux. This wireless mini USB Adapter delivers maximum speeds up to 300Mbps and provides you with a fast, reliable wireless connection for lag-free online gaming and video streaming. The Edimax EW-7722UTn V2 300Mbps Wifi Adapter features SoftAP Mode, one-button security setup, and easy-to-use configuration software, making it very versatile and easy to use. 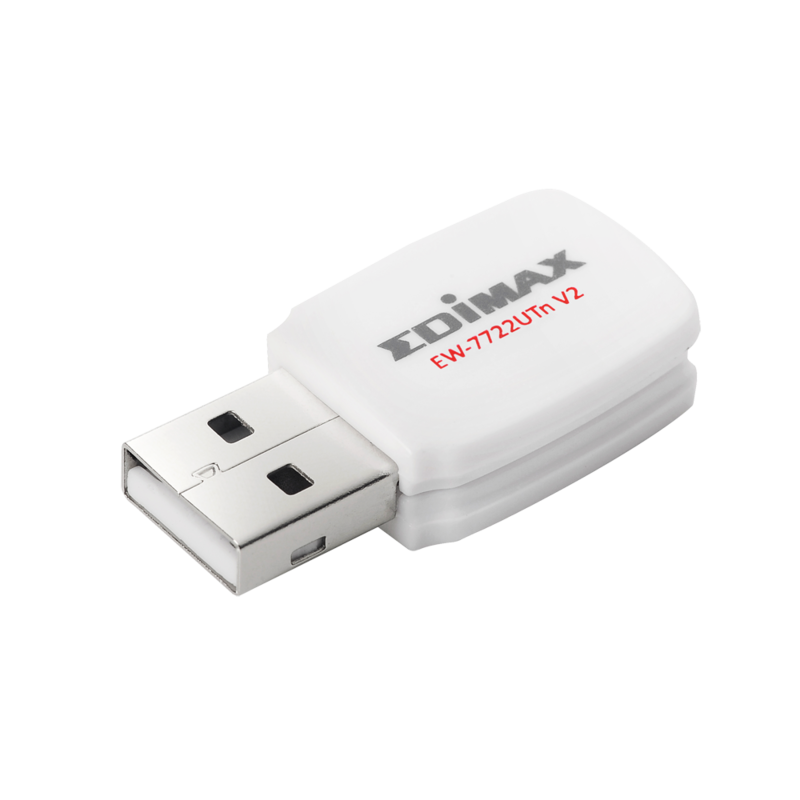 The Edimax EW-7722UTn V2 300Mbps Wifi Adapter complies with wireless 802.11 b/g/n standards and transmits data at up to 300Mbps. We here provides full information about driver and utility for Edimax EW-7722UTn V2 300Mbps Wifi Adapter. Select the driver that compatible with your operating system.